Native Rapa Nui (known as Easter Island to outsiders) filmmaker Sergio Mata‘u Rapu’s deeply personal documentary is assembled as a message in a bottle to his young son, Koa, whose birth graces the film’s opening moments. Koa means joy, but is also the name of the tree their Polynesian ancestors used to build canoes and sail across the Pacific. Rapa Nui was likely the last Pacific island settled by Polynesians and is best known for its iconic mo‘ai, the enormous, awe-inspiring, large-headed statues embodying the spiritual power of ancient chieftains. 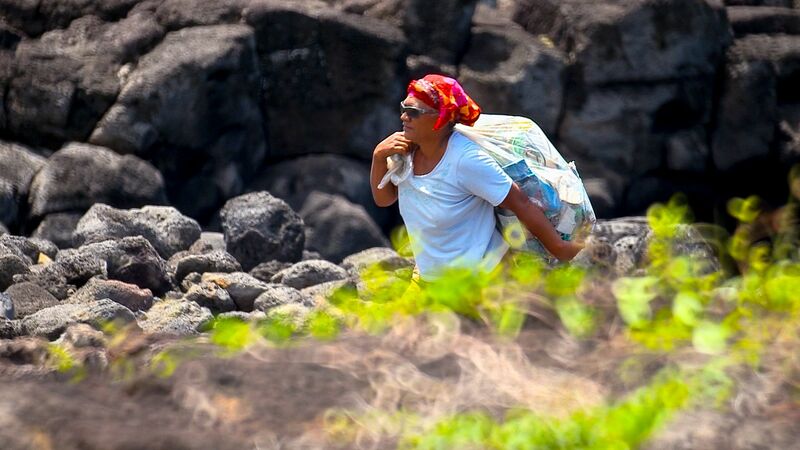 Those mo‘ai have witnessed enormous change and trauma: first contacts with outsiders, colonization, and now, increasingly, ecological damage from a booming tourist economy and trash floating onshore from the massive Pacific garbage gyre.